If the size you need is not listed below, that is not a problem! We can have any size custom made for your sandbox. Once the size of your sandbox is confirmed and payment is processed, we can ship your sandbox cover to anywhere in the United States. Our unique Magic Sandbox Cover™ is the easy solution that you’ve been looking for! It’s made from tough vinyl, and the outside edges have a length of chain sewn inside all the way around. The edges hang over the side of your sandbox, weighing down the cover all the way around the sandbox. You just place the cover on your sandbox, make sure the edges are hanging over the sides … and that’s it! No cords! No snaps! No clips! Just place the cover on your sandbox and let the edges hang over the sides. The weighted edges hold the cover in place! Our Magic Sandbox Covers™ keep the sand in and keep nature out! The wind won’t be able to blow sand out of the sandbox, and the cover will prevent leaves, branches, and dirt from entering the sandbox. Squirrels, raccoons, cats, and other rodents won’t be getting in, either, so the sand will stay pure and uncontaminated. Either way, you’ll save money! There are 2 models available: full vinyl, and vinyl with mesh interior. Available in 3 colors: navy blue, forest green, or yellow. 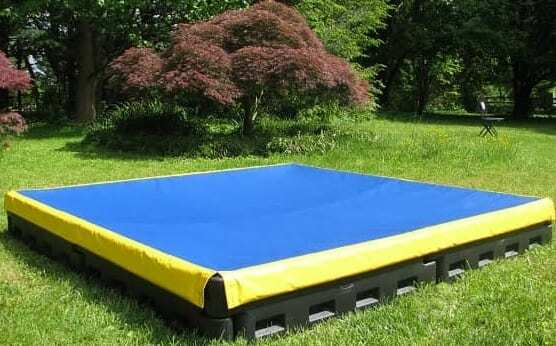 The vinyl we use for our Magic Sandbox Covers™ is heavy duty and completely resistant to water. The mesh is made from industrial matrix fabric. It’s the same kind that football teams use to protect the grass around the team benches during games. If a group of football players wearing cleats won’t hurt the fabric, then it’ll do just fine on your sandbox! Installation of our Magic Sandbox Covers™ couldn’t be easier! There are no snaps, cords, or handles to mess with. Just lift the sandbox cover out of the box, walk over to your sandbox, place the cover across it, and hang the edges over the sides of the sandbox. 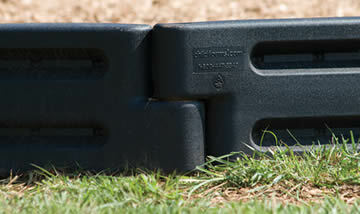 The sandbox cover has a line of steel chain sewn into the outside edge, all the way around. 14 – 21 days. This is because each cover is custom-cut to the dimensions of your sandbox. 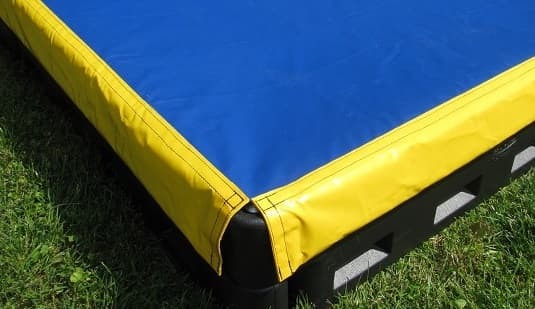 These are high-quality and durable sandbox covers that are custom-made in the USA. †Note: These sandbox covers are custom-made to the measurements provided to us by the customer. So, please measure the sandbox to obtain an accurate measurement of the outside dimension of the sandbox. Maryland Materials will not be held liable for incorrect measurements by customers. Thank you for understanding.